Breathe deeply. Hug. Rest. Repeat. Find a good listener. Share your feelings with someone who cares. Let other people help. Get comfortable asking for help until you are back to being the one who can give instead of receive. Then I had to stop writing the list. I realized that I had been told these things, in one way or another. Thankfully, family and friends had rallied to support us. Even so, sleep evaded me through the first days and was unable to talk about my feelings. I also could not ask for help. I had to rethink my list. I started over with things I had not heard soon after the accident. 1. Find the best medical options. Begin with a top hospital. Take time to research the top rehab centers, too. For example, consider the Chicago Shriners Hospital for children up to 21 years of age for rehab (or outpatient treatment). Be where you need to be. After intensive care, Beth transferred to a Toledo rehab center. It didn’t feel right, so we soon moved to another. The second center in Green Springs, Ohio was perfect for physical therapy, but the doctors on staff had no experience with spinal cord injury. We had to wait until Beth came home to connect with great doctors. 2. Seek support right away. Find local disability groups. 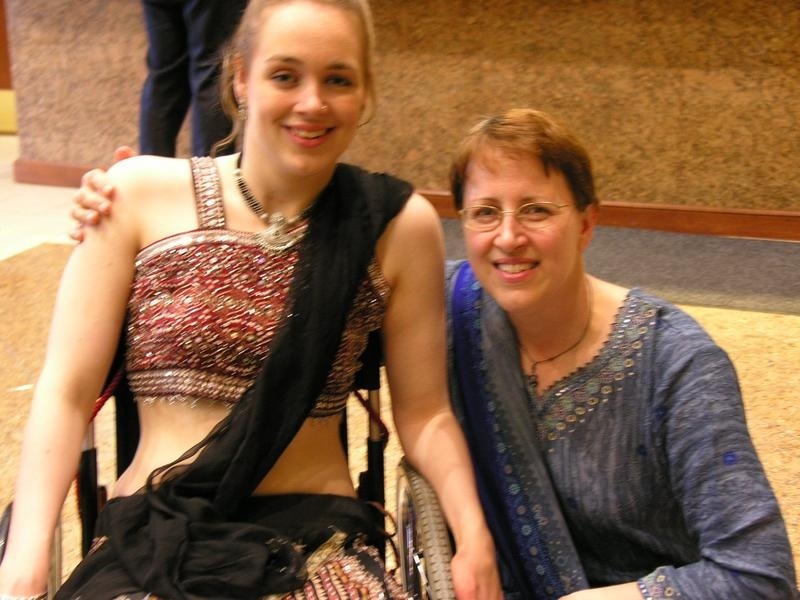 For spinal cord injuries, contact the Reeve Foundation’s Peer & Family Support program. Personal mentors and a paralysis resource guide also are available through the foundation. Also, check out AbleThrive.com. I didn’t reach out to the wonderful spinal cord injury group in Toledo until months after Beth’s injury. Sooner would have been better. 3. Trust the experts. Believe what the top doctors and physical therapists tell you. Through the first weeks after the accident when Beth could not move, I thought that the experts were giving her false hope about things like sitting up unassisted. I wanted to believe them, but I didn’t understand that progress after a C6-7 spinal cord injury takes sustained, persistent effort over an incredibly long time. 4. Don’t lose yourself in fear. The first year after the accident, I worried endlessly about the health risks of quadriplegia, ready to drive to the emergency room at any moment. As Beth did everything she could to be healthy, she showed me that I didn’t need to be afraid. Professional counseling helped me, too. 5. Look for hope, even when it is out of sight. In the beginning, too much time passed before I truly believed that Beth would be OK. She believed it from the start, and hope is a powerful thing. I could not imagine her becoming independent or traveling the world or loving her life. I’m happy that I was wrong. Cindy writes about the unexpected adventures she shared with Beth in her upcoming book and blog, Struggling with Serendipity. *My memoir will launch this spring through a traditional publisher! * My book and blog are titled Struggling with Serendipity. A lifelong disability advocate, I share an incredible true story of a mom's crisis, a daughter's paralysis, and a road called hope. Our adventures carry us from our small town in Ohio to Harvard and around the world. Won't you join us?